Everyone capable of speech has last words, of course for many of us we just don’t know that’s what they are when we say them – “Slow down Grandad!” or “He looks tame!” being good examples, but let’s ignore those utterances that meet the criteria only through their proximity to abrupt demise and talk instead about those delivered with the conscious recognition of their own morbid significance. Y’know, “proper” last words. Whether it’s suicide, disease, old age or Death Row, one of the admittedly few benefits of an expected death is that you might get the chance to choose and deliver some “proper” last words – to have them documented and remembered: a legacy of sorts. You might express love or regret, fear or courage, it might be amusing or sad – the point is, if only for a little while, these words will outlive you. So what’s worth saying? There are famous last words that we might be familiar with, such as Voltaire who, when asked on his deathbed to renounce Satan, said to the priest “My good man, this is hardly the time to be making enemies” or Kurt Cobain’s hijacking of “It’s better to burn out than just fade away” (A forgotten Neil Young lyric). I can’t help but think that while Jack Daniel’s “One last drink please” was playing to the crowd, Churchill’s “I’m so bored of it all” was cocking a final snook at expectation. But it’s not just the famous and infamous whose last words we care about, nor just our families and friends, it goes beyond that – because with the possible exception of Bruce Forsyth (whose forays on television increasingly remind me of “Weekend at Bernie’s”), death will come to us all, fuelling our macabre interest in the terminal attitude of others: its universal relevance – our own inevitable demise. Last words are our glimpse of that mindset, our window on how we might choose to face the last great mystery when our own time comes. We learn about ourselves by learning about others. 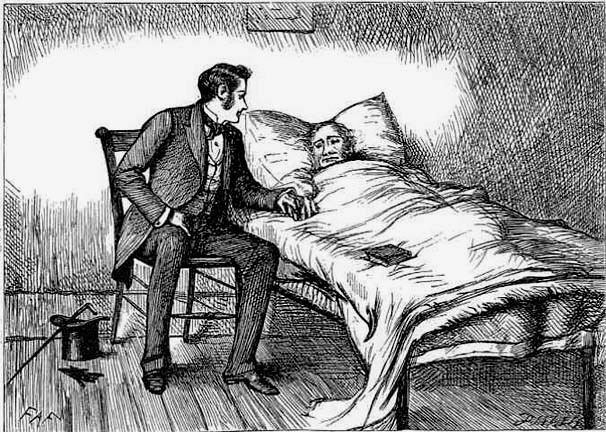 A recent article in the Guardian listed the most popular deathbed regrets as recorded by a nurse who’d heard her fair share; quietus confessions with little contrition but awash with missed opportunities and experiences. I should’ve gone with him. I didn’t write that book. I never told her I loved her. I wish I’d paid better attention to the best before date on that ready meal. Okay I made that last one up – but clearly part of the intrigue surrounding last words is that we might learn from the near-passed while we still have some sand left in our own hourglass, because intentionally or not, they are bequeathing real wisdom and from an unrivalled perspective, offering us a chance to avoid repeating their own eternal laments. Now if I’ve got you thinking anxiously about your own last words, then let me give you this comfort: it’s true that most of us will lack the wit and the eloquence for memorable last words. After all, the distillation of a lifetime’s experience condensed down into the last few shaped breaths is a lot to ask. But try to not to worry: the context of your delivery should imbue even the most bombastic deathbed rhetoric with enough profundity to temporarily transcend the content and by the time people realise that your last words were, in fact, the verbal equivalent of a bowel movement, you’ll be blissfully unaware. My last words on this belonged to my wife’s grandfather, a Lincolnshire boy, who died a great-grandfather, holding the hand of his wife of over sixty years. I like to think that within his succinct summation lay the words of a man whose life was well lived. 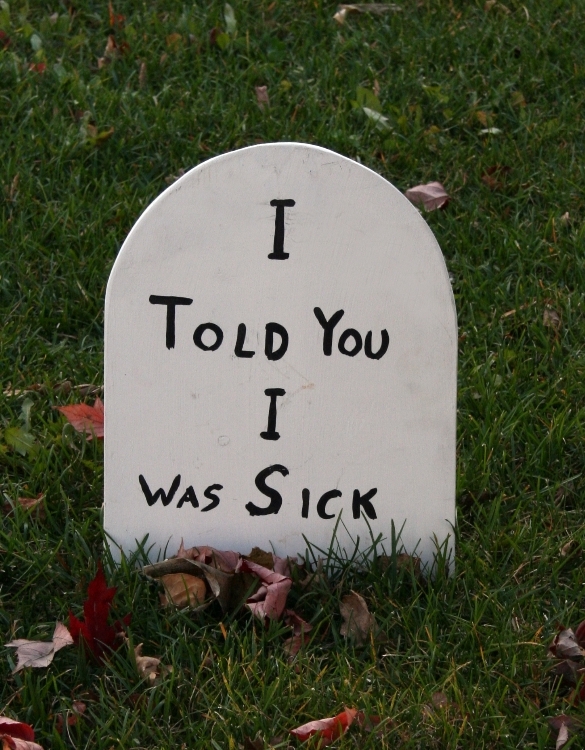 No props to Spike MIlligan for the tombstone gag James?